Our technically-advanced Handicapped wheelchair lifts and Disabled wheelchair lifts offer a huge range of benefits. Axess 2 provides a large variety of different handicapped wheelchair lifts and Disabled wheelchair lifts to help you meet the requirements of the Disability Discrimination Act and comply with Part M of the Building Regulations. As a well-established UK lift company, we can advise on every aspect of choosing and using lifts for wheelchairs and the handicapped, whether for domestic or commercial purposes. From stair lifts and step lifts, to through-floor wheelchair lifts – our entire range is versatile and simple-to-use. Axess 2 provides both indoor and outdoor disabled access lifts to overcome any problem, all of which offer a low maintenance access solution. Platform lifts are becoming increasingly popular when it comes to disabled access and lifts for wheelchair users. These can be used in the home or for public access and they essentially consist of a platform which is raised and lowered by the power of hydraulics or traction system. The Leonardo and Rafael lifts from Axess 2 offer the style of a traditional passenger lift, with enclosed cabins and automatic sliding doors. These options are often preferable to chair or stair lifts as they are quick and easy-to-use, and do not require the passenger to leave their wheelchair. Platform lifts are controlled by the user, offering increased independence around the home, school or workplace. 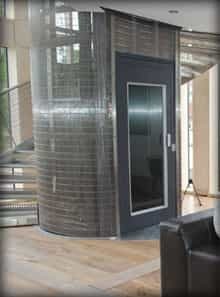 Disabled access lifts from Axess 2 are available in a large selection of different styles and finishes.